WALTHAM — Governor Baker was joined by members of the Administration, Legislature and healthy aging community today at the ceremonial signing of H.4116 An Act relative to Alzheimer’s and related dementias in the Commonwealth during an event at the Alzheimer’s Association in Waltham. "We all know a friend, neighbor or loved one who has been touched by Alzheimer's or dementia, and understand the devastating toll this disease takes on families," said Senator Jason Lewis, Senate Chair of the Joint Committee on Public Health. "This first-in-the-nation legislation will make a meaningful difference in the lives of these families by improving diagnosis, treatment and caregiver support." “Alzheimer's is the single largest unaddressed public health threat in the 21st century and we remain on the front lines of this crisis every day here in the Commonwealth,” said Daniel Zotos, Director of Public Policy & Advocacy of the Alzheimer’s Association, Massachusetts/New Hampshire Chapter. “This legislation follows in the tradition of Massachusetts being a national leader in health care and we commend the Governor and Legislature for ensuring everyone impacted by Alzheimer's gets the quality care and support they deserve. The Alzheimer’s Association would like to recognize Governor Baker for his continued leadership on this issue as well as Senator Barbara L’Italien, Senator Jason Lewis, and Representative Danielle Gregoire for their tireless efforts. Because of this legislation, families impacted by Alzheimer’s and dementia and our health care system will be much better prepared in fighting this epidemic. We also recognize several legislators that filed original pieces of legislation that created the foundation for this comprehensive bill: Senators Patricia Jehlen, Michael Moore and Mike Rush and Representatives Paul Brodeur, Paul McMurtry and John Scibak. This is a very significant achievement, and will stand out as one of the most comprehensive dementia policies in the country. Bold policy endeavors such as this really do take a village and we can be proud of the strong coalition of policymakers, organizations and advocates who have been so committed to this issue." In Massachusetts, there are more people over the age of 60 than under the age of 20 and older adults will make up 23 percent of the Commonwealth’s population by 2035. 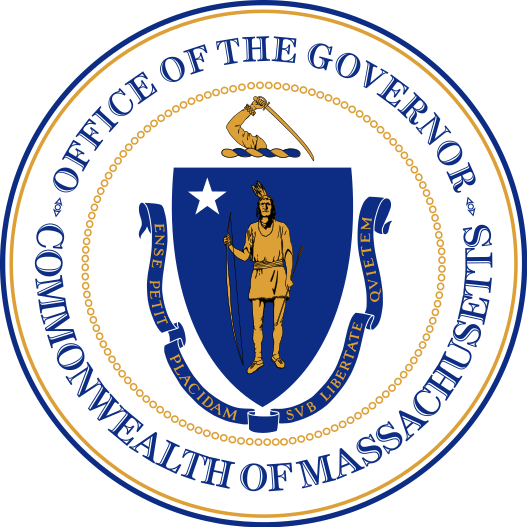 In 2017, Governor Baker established the Governor's Council to Address Aging in Massachusetts, which focuses on promoting healthy aging and making the Commonwealth an age-friendly state for people of all ages. The council brings together leaders from the aging, business, government, nonprofit, technology, education, transportation, housing and health care sectors to advise the Baker-Polito Administration on innovative policies and best practices to support and engage older residents.